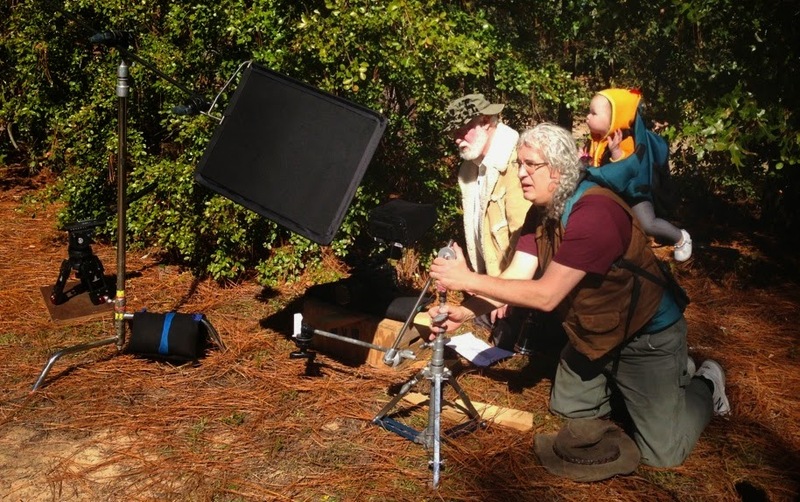 Shooting a short film with prime lenses has numerous educational advantages. There are the technical aspects: faster, consistent f-stops across numerous focal lengths, permitting consistent ISO settings into the higher focal lengths. Shooting with primes gives a more authentic cinematic filming experience: the movie industry uses primes. Additionally, using prime lenses creates a sense of “planting the flag” in that the director says, “we will put the camera here”; there is no way to cheat the framing with a little zoom. However, an industry grade set of primes can be cost prohibitive. There are few choices on the market between the built in zoom lens and expensive professional primes. So, let me show you what I have put together for my students. Focus is aided with the camera’s expanded focus control. Having a consistent F-2.8 across focal lengths is great. Having a 50mm with 1.8 is fantastic. The only downside is that a drop-focus can sometimes be less than smooth, depending on the lens and how the focus ring is prepared prior to the turn. When first using the primes, it takes students a while to get the knack for the repeated lens changing, but they get better at it. Students soon realize that shooting with primes is fundamentally different from the ENG type cameras they used in the TV news class. 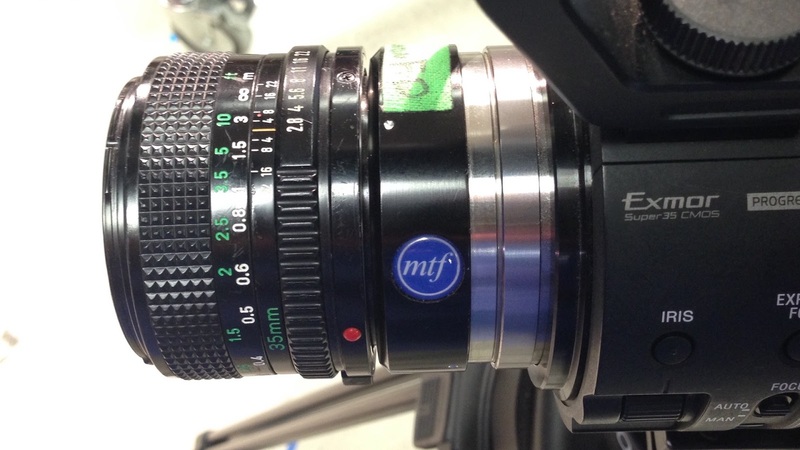 Using these prime lenses creates a greater artistic level when shooting their films. The use of prime lenses makes their film making a more deliberate process. As a teacher of Audio, Video, Film production who manages a live, daily student produced newscast, I follow the news more than most people. I’m prepared to discuss with students a variety of current events, but I can’t say much about this election. I organized my county’s first live daily student produced newscast in 1990. Since 1992, my newscast students have reported on six U.S. Presidential elections to the rest of the students in their schools. Elections are a time of great learning about our democracy. For years, I’ve assigned my students to research candidates, contests, and the issues of the day. How I miss the good ole days. In all these six prior elections, no one doubted the process. Everyone believed in democracy. That democracy belonged to everyone, even the students, whom although they could not vote, could read, research, and become informed. It is the belief in the system that makes America great. Now, things have changed. My students can’t report this election on our live, daily morning newscast. In your mind, review all the content presented this election season. Now try to filter that for an 11-year old. Good luck. As I teacher, I can’t assign my high school students to read news that easily links to news about…inappropriate material. On any given day at school, should we discuss…you know…that…or the other things? So this year, my newscast students have been mute on the election. However, this is not by my instructional decree. Instead, my high school seniors look at me and say, “I can’t talk about this on the show.” My 17 and 18 year old students know better. However, I’ve heard some of the middle schoolers quoting, “it’s rigged”. This election of 2016 will happen on Tuesday November 8th, but I am concerned it will have long lasting effects. What if other teachers nationwide are avoiding the election? If young people grow up thinking, “it’s rigged”, what actions will they take? In 2032, my current 11-year old students will be 27. Will the election of 2032 begin the Age of Cynicism? Why you need to attend the documentary “In Their Own Words: The Tuskegee Airmen”. Do you need a break from political debates, name-calling, and the questioning others’ patriotism? Remember that movie “Redtails” released in 2012? A source of historical information for that movie was my friend’s documentary: “In Their Own Words: The Tuskegee Airmen”. Fathom Events will be screening the documentary nationwide for one night only, March 29, 2016 in 205 theaters in 48 cities across the USA. Work on the documentary began in 2009 when director Denton Adkinson and producer Bryan Williams were sitting in a Huddle House in downtown Augusta, GA when they noticed an older, distinguished African-American veteran having breakfast. The pair asked him of his service. He told them he was a Tuskegee Airman. Denton and Bryan were inspired and began a 3-year production that would eventually lead to receiving a letter of thanks from filmmaking icon George Lucas for their work on the documentary. The documentary tells first-hand the stories of true heroes whose patriotism is inspirational. For that reason, I’ll be in the theater on March 29th. As a bonus, it was produced by my friends. 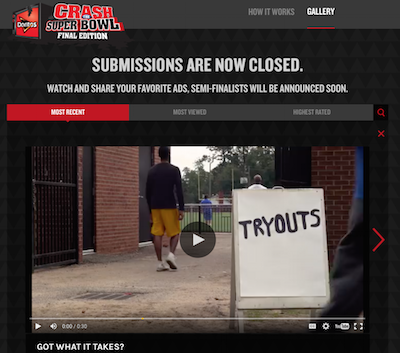 Tell me what you think about my entry in the 2016 Doritos Crash the Superbowl Commercial Contest. See the animatic (edited storyboard) for the commercial. I tossed the first idea in the garbage. Storyboarded the second idea but found it trivial - trash. Started thinking of the Coach’s Speech, wrote it 5 times. Storyboarded the Coach’s Speech. I liked it because it seemed nostalgic. Step 2 - Development = Convince my fellow filmmakers to work on the project. Used iPhone to make audio recording of myself performing the Coach’s Speech. Took pics of story board index cards with iPhone. Move materials to Mini Mac. Downloaded official Doritos music and graphic files. Created the animatic on iMovie. Gave it a “film” effect to help it look nostalgic. Sent the animatic to a few close friends for feedback. My brother, who is currently in a Film Production Certificate Program at UCLA told me that one of his teachers said that the Doritos Contest commercials had created their own mini-subgenre, or formula, of - a boy gains Doritos by using cardboard to out wit an adult male. I agreed with him, accepted that I would not win, and decided to begin production. Created a private Facebook page for the project. Visited 3 possible shooting locations. Took pictures and video, posted them on the Facebook page. Posted an announcement on the Facebook page for our area film group, Southeastern Filmmakers - Augusta Chapter, and asked for volunteers. Interested participants were added to the private Facebook page. I told people the goal was to manage the production as if it was a feature, but only about 1 minute would be shot. Eventually, 25 people worked on the production. I asked Susan Willis, who is forming a new company, “Mamma Bear Extras Casting”, to cast the commercial. I added her to the admin on the FB group. She added cast members. I didn’t worry about the cast again. Two people were helping with costumes, so I posted a few guidelines for costumes. Gave the makeup artist some guidelines. It was one of her first film gigs. Rehearsed the lead talent on “the Coach’s Speech”. It was his first time acting. Bought the craft food and sandwich food at Costco. Shoot time 9 am to 5:30 pm, Saturday November 7, 2015. 20 people participated as cast and crew. I did not let the editor attend the shoot. Photography was mainly with a Sony FS-700 with vintage Canon FD primes from the 1970s. Recording was made with an Odyssey 7Q set to Pro Res. The jib shot was on a lighter Sony FS-100 on to an SD card with h264. In addition to the shots in the animatic, I had a list of additional shots to give the editor some choices during editing. It rained twice during the day causing two short holds. Since the actor playing the Coach was new, his audio was broken up into many takes. As we started to wrap, I asked everyone to sign the “game ball”, the football I bought for the production. Copied the footage to my computer. Took the SSD card to my editor. I selected a few shots I felt needed to be in the commercial. Pieced together the Coach actor’s best line delivery from numerous takes. Cut a rough cut in DaVinci Resolve 12; it was 34 seconds and boring. Exported the XML and sent it to my editor, who used Adobe Premier. A few days later the editor sent me his first cut. It was a lot better than mine. The editor included several of the additional shots not in the animatic. The most interesting experimentation was with the color of the work. We tried several attempts at making the work look “vintage”. These made the big hit at the end of the commercial seem violent. We discovered that increasing the saturation with a clean image increase the humor. Done by noon on the deadline day. I enjoy seeing the autographed football in my house. Or view it through my website. Looking to start or improve your YouTube page? This page is great. As I seek to expand my High School Film Teacher Blog with instructional videos, I’ve been reading and watching a lot of web content about YouTube Channel creation. This page by www.Brafton.com is worth your time. The single most important step for a writer of film content is the creation of a premise. A premise is one sentence that tells you what the story is all about. As teachers and film producers ourselves, a method of grading or evaluating student work is required, and this method must be both valid and reliable. For your consideration, I offer a rubric I've developed over the years to both help students write a premise and for teachers to evaluate them. At first glance, it may seem as if the rubric would limit students' creativity. The results are the opposite. Students generate a huge variety of productions. In the years I've been using this rubric, never have any students' productions been alike. Meeting the criteria of the rubric pushes students to be more creative, thus allowing them to reveal their inner selves. Admittedly, this rubric has a bias towards a certain type of film, an archplot (ark-plot) – a specific hero, with a specific problem that distinct attempts can be enacted in attempt to solve, leading to definitive climax solving the problem. This rubric is not to be used for an “art film” or a “non-plot”, in which the purpose is to give the audience some vague sort of introspective feeling but not necessarily including a plot, a hero, a beginning, middle, ending, or focus. The student should read the premise aloud once, then be silent. The teacher or judge might ask for the student to repeat the premise aloud again. No other talking is permitted, no follow-up questions, no discussion. The rubric is scored. The student reads their next premise. The student should be prepared to present at least 5 premises. The student can continue working on the most successful premise, with the approval of the instructor. Specific Hero - the judge should be able to clearly identify the hero of the story. The hero is the person with the problem, who we watch solve their own problem. The old term “main character” does not adequately describe story building techniques of the film industry. Entertainment Value – although somewhat more subjective, the premise should give a sense that the film is entertaining. Entertainment – an emotional experience that is worth repeating. This definition includes both comedy and tragedy. For example: Romeo and Juliet is a tragedy, but it has entertained audiences for 500 years. Tragedy does not include stories in which both the hero dies and fails to accomplish their goal. Although sometimes these stories are produced, the audience tends to walk out or say aloud at the end of the film, “this is so horrible”. The student prepares a film for the audience. They are using taxpayer equipment in a taxpayer provided learning situation, so they will need to deliver a responsible product for the taxpayer to enjoy. A student is learning production. When they are out of school and have their own equipment, they can produce whatever they want. Clear Objective / Goal – Does the premise imply or state what will end the story? The audience will know the story is over because _____. Steps in Solving Problem – Does the premise imply or describe that the hero will have to be taking a variety of actions to complete the goal? Story told Visually – Can this story be told with only a few words? Does the story lend itself to be told though action? Remember, movie directors say, “Lights, Camera, ACTION”. They don’t say, “lights camera, talk”. Does the hero solve the problem and accomplish the goal by performing actions. Audience Identification – When you hear the premise, do you think, “I understand what is it like to be that character.” Or “Is that how that must feel”. Or, “I feel sorry for that character”. There are the two audience emotions of sympathy and empathy. Sympathy is when the audience feels sorry for the hero. Empathy is the audience feeling they are the equal of the hero in some way.